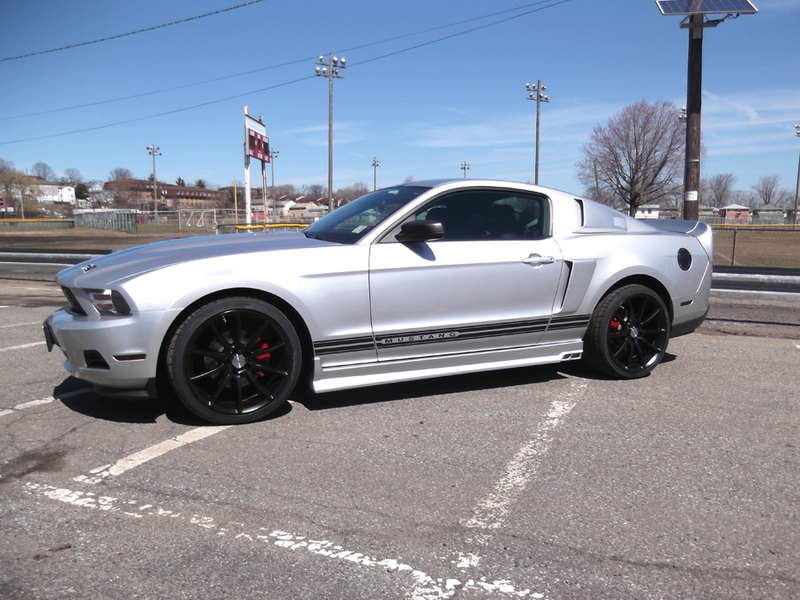 Available are the 20" Black Mamba Mustang GT500 Wheels in a Satin Black finish. 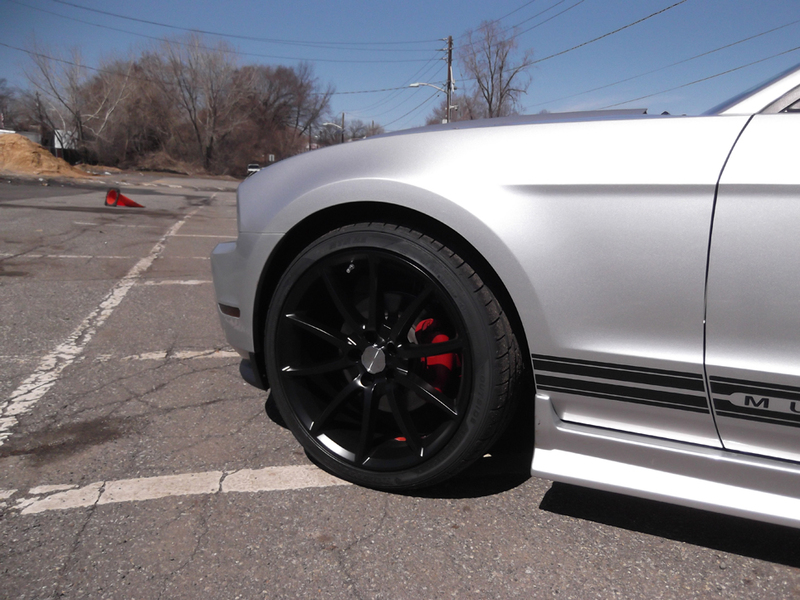 The Black Mamba Mustang wheels come in a staggered set of 20x9 FRONT and 20x10 REAR. Comes in a set of 4 (2 Front and 2 Rear). Our wheels are low pressure casting. We use positive pressure to move the molten aluminum into the mold quicker and achieve a finished product that has improved mechanical properties (more density) over a gravity cast wheel. 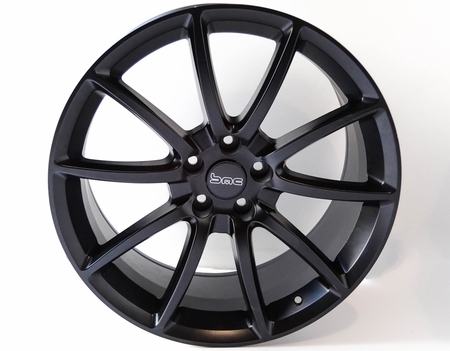 There is a slightly higher production cost over gravity casting, but low pressure casting is the most common process approved for aluminum wheels sold to the O.E.M. market. Low pressure cast wheels offer a good value for the aftermarket while still maintaining strength and a lighter weight.